I have finally reached a point where I no longer keep books on minimalism, simple living and decluttering, but there are the ones I love best. I’ve read each one at some point on my journey – often more than once. They are great books and well worth reading. These are affiliate links which means if you purchase after clicking on them I receive a small fee for referral. This book has been in the press so much, but it deserves the attention. The thing I loved about it, which I hadn’t seen elsewhere, and which was something I’d been doing for a long time, was to learn to keep like-with-like. If you are decluttering with any seriousness, this rule alone will help you so much to understand exactly what you own. Joshua Becker is a truly authentic, kind and wonderful voice in the simple living/minimalism space. I have followed him online for many years. He has been a constant source of inspiration for what can be achieved when you focus on what is important to you and to the wellbeing of others. Any of his books are worth reading, but I recommend this one as a great place to start. The first book I ever bought on minimalism. I love Leo’s clear and simple way of writing. There is never any excess in his words and he has made some incredible life changes through adopting the principle of focusing on one goal at a time. Peter Walsh is an Australian decluttering expert. His books are more refreshing that the run-of-the-mill decluttering books out there that are ten to the dozen. He doesn’t sugar coat your hoarding problems and he talks a lot about the emotions behind the clutter, rather than methods of decluttering (that I find useless), like four boxes, or if-you-haven’t-used-it-for-a-year. Definitely worth a read – I loved this book. Read these and want more? 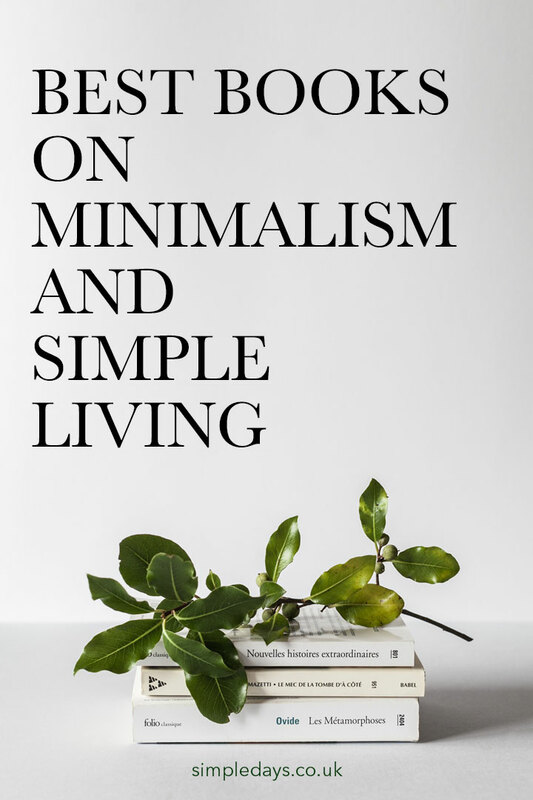 My list of books on simple living.